Dominik took great pains to insure that the paint colors were right and his painters were meticulous. I am 100% pleased with the job and would not hesitate to hire them again. Response by : Thank you, it was a pleasure to work on your project. Thank you. Red Sky Painting were the best painters I used in many years. Very Professional and fast. Response by : Hi Alan, thank you so much for taking the time to write your review ! We're happy to know you had a great experience with the team and our service. Response by : Thank you for the review! Very professional company, painted surfaces look great. Used good quality paint, on time, cleaned up every day, excellent attention to small details. Response by : Thank you for review ! A responsive and responsible company. They did a great job, excellent attention to detail. Response by : Thank you ! My first goal with clients is to engender this level of loyalty. The job was to repaint an empty 2 bedroom condo from top to bottom, but there were 2 areas with wallpaper that needed to be covered or removed. Dominik Olejnik and his crew did a fantastic job covering the bright wallpaper in the kitchen (at my suggestion) because it would not have been easily removed. The hallway wallpaper was curling at the seams and needed to be removed with a lot of sections patched before painting. Today it looks like there never was any wallpaper in those 2 areas. Very neat and clean painting crew. I would definitely hire Red Sky Painting again! Response by : Thank you so much ! It is really satisfying to get everything just right and have clients enjoy their home. Response by : Thank you for your review ! A little pricey, but they stand behind their work. Response by : Thank you ! it is a great joy to work with longtime clients and adjust to each resident far their evolving needed and desires. Comments: Dominic was responsive, prompt, and communicated through the stages of the job. Red Sky also clearly takes pride in a job well-done and on-schedule. The crew was professional. Comments: Dominic was very responsive to my concerns and I appreciated that he was very present during the work and that he was careful with my plants and kept his appointment times with me. Comments: I requested quotes from two companies on Home Advisor. Red Sky was considerably cheaper. They were on time and very efficient. They did an outstanding job. The owner and his employee were very respectful of me and my property. I would highly recommend them. They were very professional and the communication was good. The quality of their work was excellent. We had a solid wood exterior door sanded and re-stained, and we are happy with the finished product. Quality is up there with best of them and at competitive rates. What's most outstanding is their reliability and and their attention to the customer's needs. Dominik was in continual contact during a week of weather delays that assured me the job would be completed as soon as possible. I will definitely use them for future painting needs. Dominick was professional,explained exactly what was to be done.He completed the work in a timely manner. He was never late and cleanup was perfect. We are extremely satisfied with the job and would hire him again.This company has good old fashioned work ethics. They were very accomidating & I felt they gave us a fair price. We put a request in for a quote and the owner came out the next day (Sun) to provide. They were able to accommodate our quick-turn request and start the job later that week. The painters were on time and prepared. We had several high walls in the house and they did a nice job. Only recommendation we would give is to ensure alignment with exactly what the quote includes. We had assumed baseboards and trim were in the quoted price but was not. We were however, able to work it out. Would use for future work and recommend. Competitive quote, great communication, job done as quoted. Would hire again. Very polite and friendly. Work was very good. Showed up and finished on time. Dominic and his team are fantastic - not only did they do a wonderful job painting the interior of my home - they were pleasant and very neat. I will use them again and highly recommend them for any interior painting job. I was really under the gun to get several rooms painted before we moved into our new house and Red Sky Painting turned out to be a lucky find. I received prompt, honest, professional service. I couldn't be happier with the result. Very prompt and pricing reasonable. The deck looks great! I appreciate professionalism and I am glad to say I got that from Red Sky. 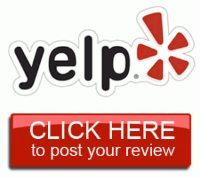 Dominick O. was very personable, on time, and did a beautiful job. My 2 deck surfaces haven't looked this good in years! Would recommend this company. Thanks. To read our must recent reviews and rating just click the logo.